Throughout civilized societies the marketplace has been closely aligned with commerce, livelihood, home and community. People operating in the marketplace played a significant role in the establishment and growth of the Early Church. There was not always a wide divide between the work of ministry and the work of business. Actually, as first century followers of Jesus Christ operated in an integrated life of ministry and commerce, there was no certainly distinction between a marketplace businessperson and a marketplace minister. In truth, then and today, ministry happens, or should happen, every day in the marketplace. In his best-selling book, Anointed for Business, Ed Silvoso highlights three basic components that make up the marketplace – business, education and government. If the Church is made up of individuals infused with the Holy Spirit, and these individuals work every day in business, education and government, then are they not to be ambassadors for God wherever they operate? Why then do we draw distinctions between what we do on Sunday mornings (and maybe a mid-week gathering) and what we do with the rest of the week? Silvoso notes a natural disqualification as second-class citizens that occurs in the minds of many marketplace Christians when comparing themselves to those who serve full-time in a church or missionary context. “I’m not a pastor – I’m just a layman” is a common self-inflicted putdown. This should not be the case. Those in secular jobs should recognize they have every right and expectation on them to be field generals for the kingdom wherever they operate in the marketplace. They are called by God – even “anointed” for the marketplace. The tension is in knowing how to make this connection though feeling uneducated or assuming one has to exchange their secular vocation for a religious one. In truth, we are all ministers and pastors in the marketplace. As with the early disciples, the only qualifications to be a minister is the spiritual conditioning that comes from knowing Jesus (Acts 4:13). These non-religiously trained marketplace people (fishermen, tax collectors, farmers) changed their city, their region, the world with a gospel that transformed lives, with and without human credentials and authority. Jesus was a craftsman (Mark 6:3) and recruited no professional clergy for his team of disciples. Paul, though a rabbi, ran a profitable business large enough to provide for him, his team and the needy (Acts 20:33-35). Dorcas, Lydia and Cornelius were all marketplace leaders who, due to their faith and impact, produced salvation movements in their communities (Acts 9:36-43; 10:1). Today there are multitudes of believers in the marketplace who hold strategic positions in business, education and politics. They need to know they play a vital role in the establishment of God’s kingdom on earth. Granted, this is not about office Bible-thumping or preaching. Great testimony is often made by lives and work product of integrity, nobility and honesty operating out of God-given gifts and talents. May the Spirit of God, not man, move in the marketplace to great impact and effect. There is a God-ordained division between clergy and laity. The Church is called to operate primarily inside a specific building, temple or facility. People involved in business cannot be as spiritual as those serving in traditional Church ministry. Jesus abolished the Old Testament priestly order with a New Covenant establishing a priesthood of all believers (1 Peter 2:5). Indeed every Christian is in full-time ministry. Surrendered to God, their ministry is where they operate, at home and/or in the marketplace where they spend their day. 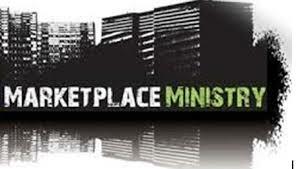 Are you operating as a marketplace minister? Are you empowered to minister as God directs?